Since I started gardening last year, now I have so many jalapenos to use! 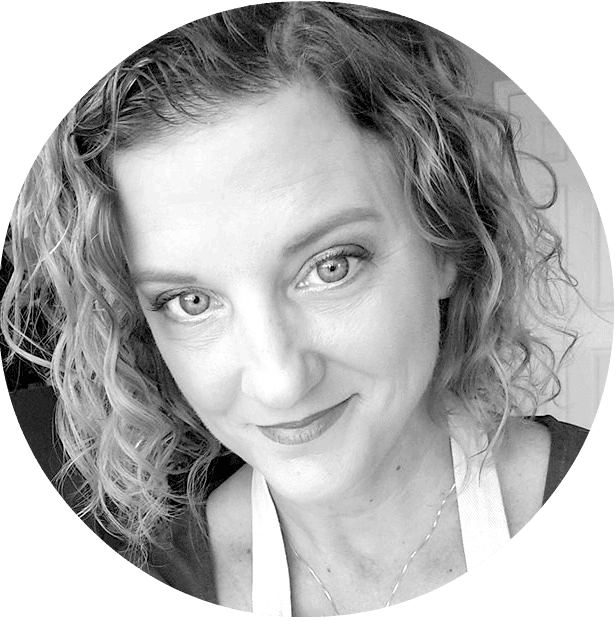 So, I’ve been throwing them in everything – salads, on the grill, baking them in breads, stuffing them, and so on. 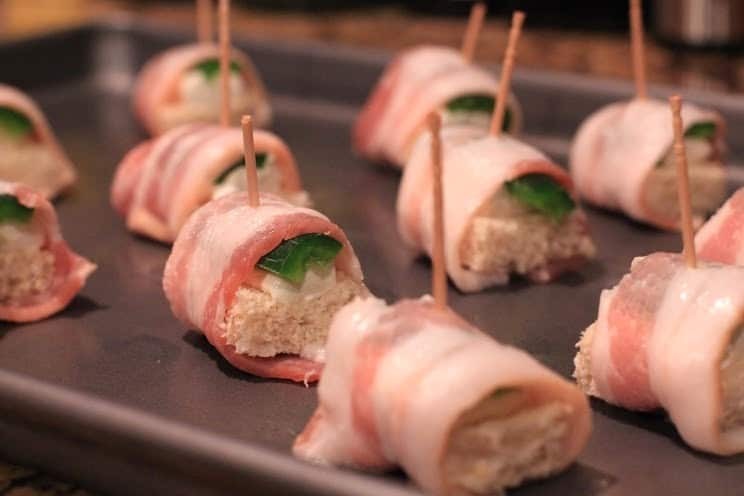 So the basic idea for this appetizer (with the bread, cream cheese, and bacon) goes way back to my childhood where I remember eating bread and cream cheese bites wrapped in bacon regularly at a friend’s house. Adding the jalapeno puts them over the edge! Cut the cream cheese into 24 cubes. Put in the freezer to harden while you prepare the remaining ingredients. Cut the bacon strips in thirds. Cut the crusts off the bread, and cut each slice into 8 cubes. For the jalapenos, cut the top and bottom off each pepper. Slice each pepper in half lengthwise and remove the ribs and seeds. 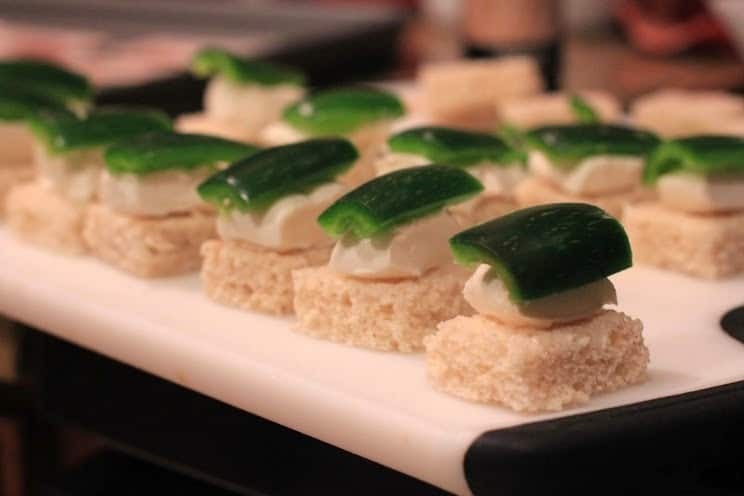 Cut each jalapeno half in half lengthwise again. Trim each to about the size of the bread cube. Place the bread pieces on a rimmed baking sheet. Place a piece of cream cheese onto each piece of bread. 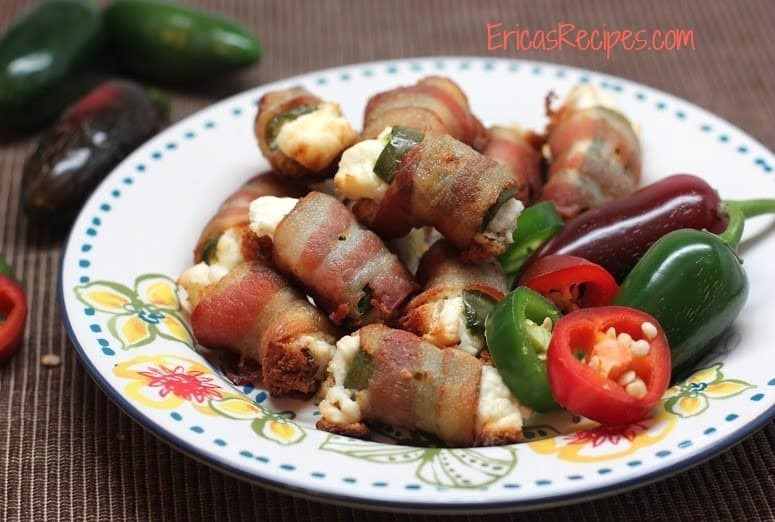 Top each with a piece of jalapeno. Wrap each with bacon putting the ends under. Secure with a toothpick (it helps to pierce the toothpick through, then wrap the end of the bacon around to secure with the end of the toothpick). Bake at 425F until bacon is just crisped (~15min). Yields 24 appetizers. 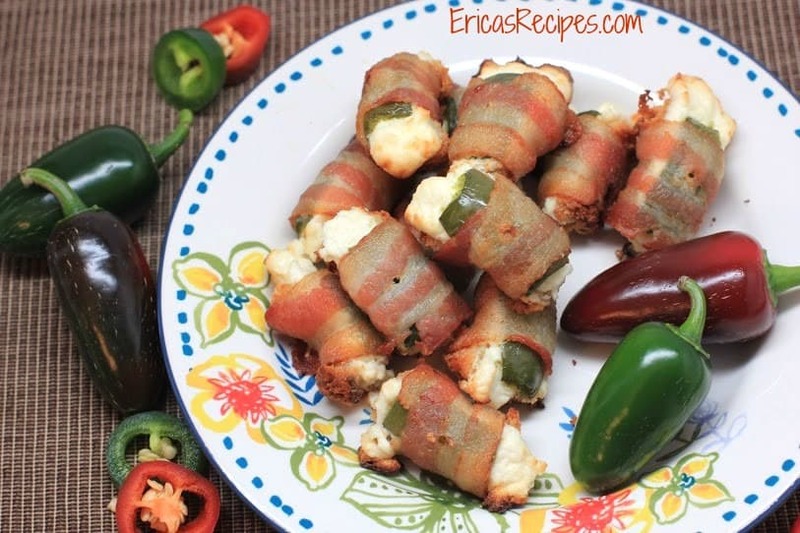 Such a cool, interesting take on traditional jalapeno poppers. Looks awesome!